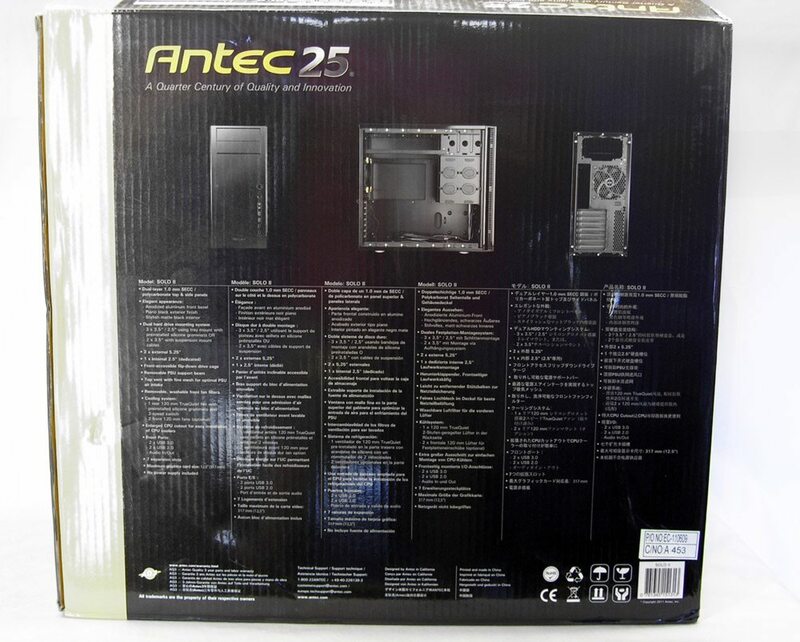 I’ve been reviewing quite a few Antec products recently and they’ve all turned up pretty well so far. 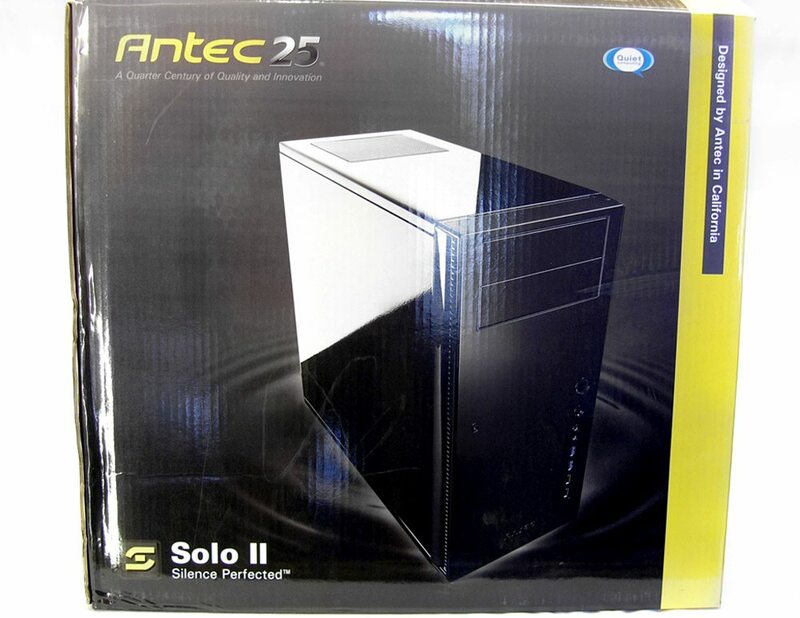 The last of my Antec product reviews is the Solo II case, the prequel of which has ended up as one of the most oft reviewed ones on the site. This new edition updates the original design with a few extra features, while maintaing the parts that made it a good buy. At least that’s the plan anyway. Let’s see if Antec followed through. The case arrives in this professional looking, colourful box. The case is supported by two pieces of foam at the top and at the bottom. The case appeared to be very secure and safe in the box. The rear shows the case in more detail and outlines all of the main points and specifications. Included with the case is a bag of screws and a manual. 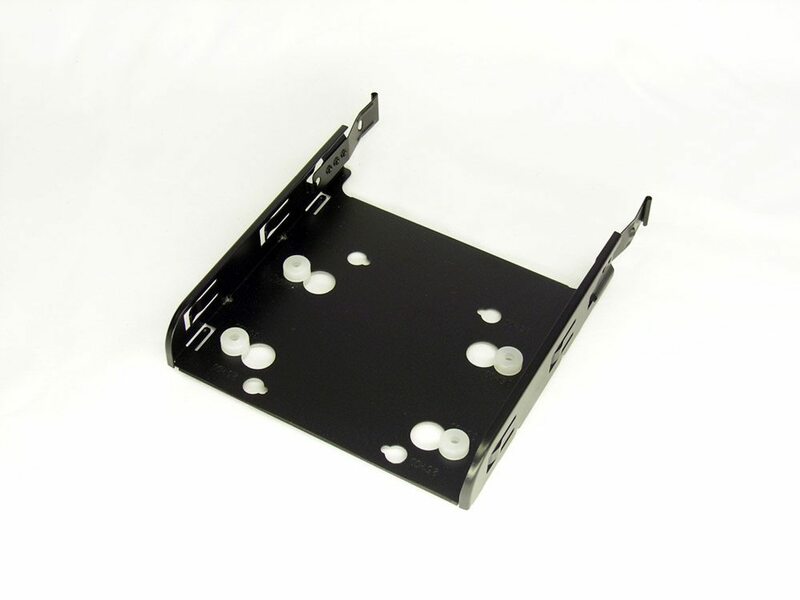 The hard disk mounts are made of very soft silicone and metal and are mounted with screws that are only partially threaded to ensure they do not squeeze the silicone too much. They are really well made, much nicer than the plastic ones that come with most cases. The mount fitted with a 3.5” Seagate drive.